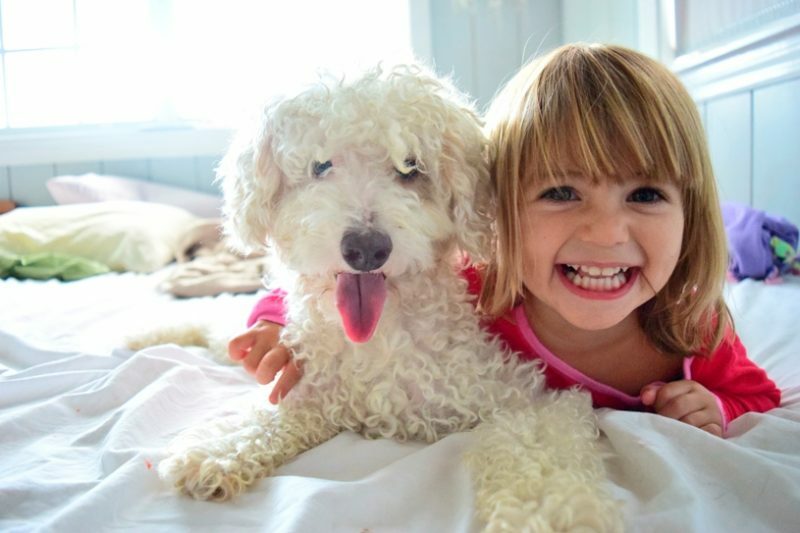 Follow these simple tips for introducing dogs and children. For many people a home is not a home without a pet. Often people choose to introduce a pet to the family when they have young children. In fact, I did exactly this when I thought my son was old enough to have a dog. Consequently, I did a lot of research before bringing a puppy in to the family. 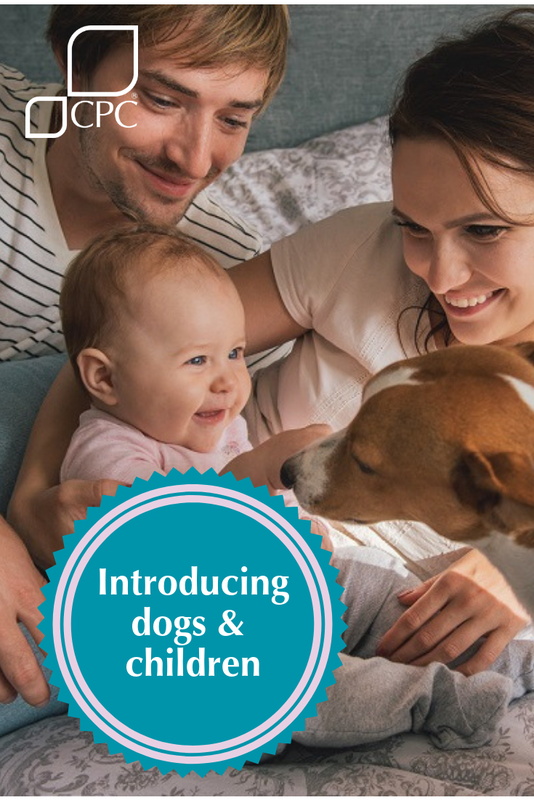 Including, introducing dogs and children safely. When introducing dogs and children, safety is paramount. An overexcited child can easily hurt a small animal such as a young puppy or kitten. That same overexcited child can scare an older pet, causing the pet to bite in the mistaken belief that they are protecting themselves. It is the responsibility of the adult to ensure that both the pet and the child have a rewarding experience when meeting for the first time. Having a baby has a far bigger impact on family dynamics than most people expect. However, there is good news – you have some time before baby arrives to make preparations and complete training. Nine months is more than enough time to complete training and overcome any unwanted habits. You will be rewarded many times-over when you have a well-behaved dog. You may find it useful to take your dog for walks alongside an empty pram or pushchair in preparation of when you take him and baby for walks. This will allow both you and your dog to become accustomed to the chair and learn the best place for the dog to position himself so that he is not pulling or causing an obstruction. 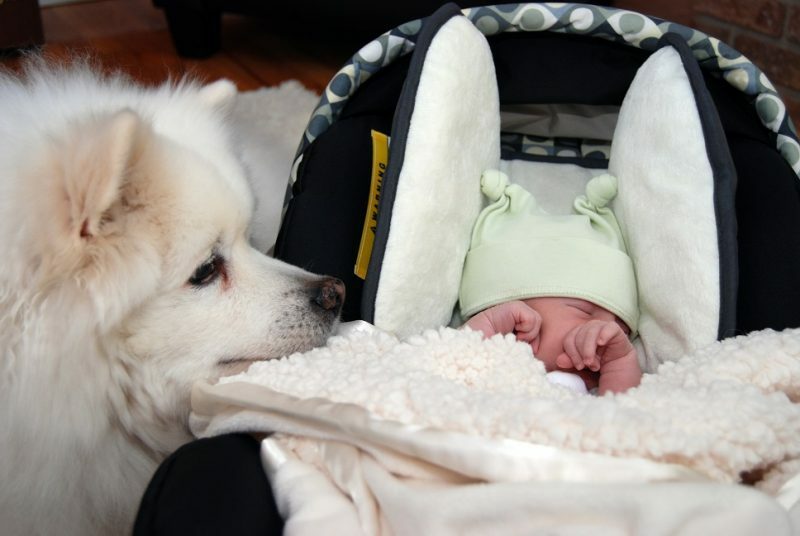 You should also review which dog activity / behaviour needs to change before you bring baby home. For example, you may want to stop your dog jumping on the furniture without an invitation. You may decide there are now areas in the home where you do not want the dog; such as the nursery. It is important that any changes you make are completed before your bring baby home. This will stop your dog from associating the changes with his new pack member. Bring an item that smells of your baby. You can then introduce your dog to your baby’s smell. You should encourage your dog to sniff the item from a distance – this will communicate that this item is yours and that you set the rules about how the dog will behave around the new smell. Start the day by taking your dog on a long walk – ensure that you have drained all of your dog’s energy. When you return from your walk, ensure your dog is calm before you enter the house. He will be aware of the new scent as soon as he enters the home. If you introduced the scent earlier, it should be familiar to him. When the introduction takes place, the parent holding the baby must be calm and relaxed. Encourage your dog to smell the new arrival from a distance. In time, you can allow the dog closer. Following this method, you are training your dog to treat your baby as another pack leader. Never leave your baby and dog unsupervised. 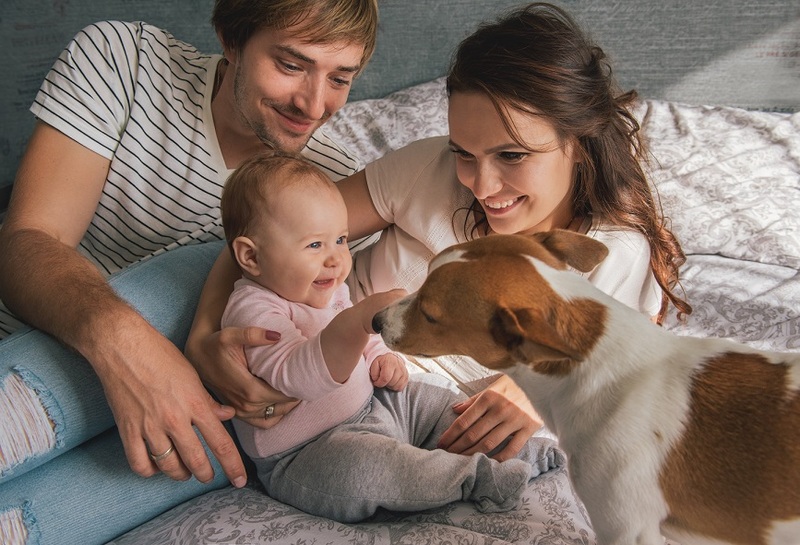 When your baby starts to explore their surroundings it is more important the ever to control interactions between child and dog. Unfortunately, there are too many instances where a child has unwittingly provoked an otherwise peaceful dog. Adult supervision is vital to ensure both the safety of both dog and child. Ask an adult to tell the dog to move e.g. to get off a sofa to allow the child to sit there. Never approach a dog without permission. Always ask the dog’s owner before you approach. Do not run towards a dog. Always approach slowly. Never approach a dog when he is eating.